Description of Business Insurance. Explanation. Business Insurance is a policy designed to protect businesses from loss exposures, in return for paying a premium to an insurance company. Business insurance is a way of insuring firms to minimize the risk of financial loss due to unpredictable events. To receive this provision, companies have to pay a premium that can be monthly, quarterly or annual. The origins of business insurance date back to 2100 B.C. with the Code of Hammurabi. This Code provided coverage for merchants in case of loss or damages to their goods. British merchants were the first to underwrite formal insurance policies. When new companies were born, coverage for buildings, equipment and services appeared. Business insurance reached popularity in the 17th century. Businesses obtained coverage against fire damage in London in 1667 and in the US in 1752. Over time, accident policy, workers’ compensation insurance, burglary and theft insurance were designed. Insurance companies grew and businesses thought about the best ways to manage risks such natural disasters, death or injuries to customers or employees, hazards, theft, legal liability, automobile accidents. What Business Insurance is Needed? A company decides what kind of insurance it purchases depending on its needs, size and level of risk. To purchase a business insurance, the level and probability of risk should be analyzed to calculate the amount of coverage that is needed. There are different kinds of coverage available to business owners. Each category of loss can be managed with a corresponding type of insurance. 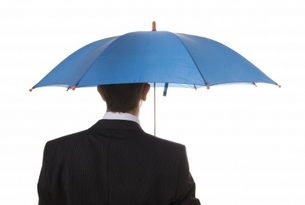 Sometimes several types of business insurance are combined in one policy. The main advantage of a business insurance policy consists of enabling / guaranteeing continuity of business operations. Small companies have a greater need to be insured than larger companies. Small business owners could obtain protection for life savings, reduction of profits, or bankruptcy. Depending on the type of business insurance (see below), other benefits exist. Small businesses may decrease their insurance rates by implementing safety measures and programs such as alarm systems. A business insurance policy can be general or product-based. A product business insurance covers the safety of a company's products. Other forms of business insurance are: Professional Liability Insurance, Business Interruption Insurance, Workers’ Compensation Insurance, Healthcare Insurance (specific for Corporations), Commercial Auto Insurance, Errors and Omission Insurance, Directors and Officers Liability Insurance, Commercial Property Insurance, and Environmental Insurance. Some of these insurance types can be mandatory in certain countries. This ends our Business Insurance summary and forum.